The Trilobite Hydro & Quarter Turn Anchors feature a patent-pending cone/slip shape which were engineered based on customer needs. 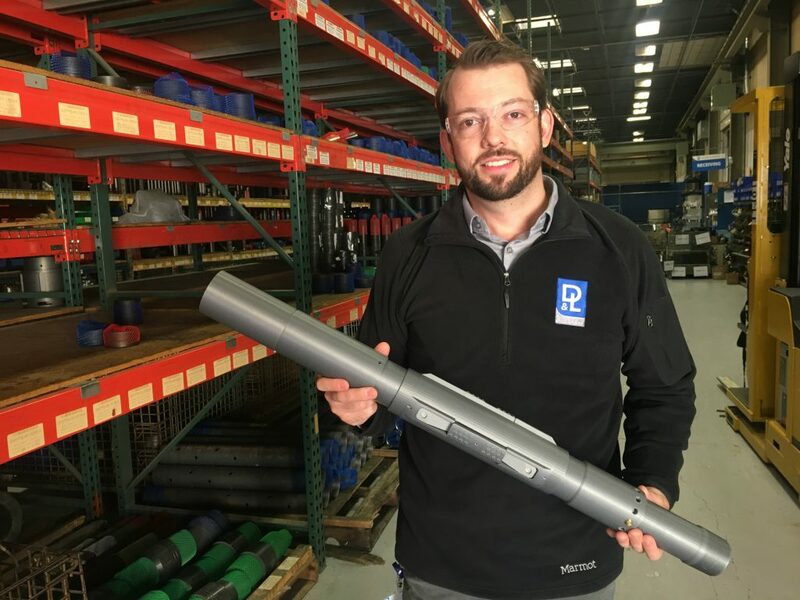 TULSA, Okla. – D&L Oil Tools, a company that provides downhole tools to both domestic and international oil exploration markets, has unveiled a new patent-pending design for hydraulically and mechanically-set retrievable tubing anchors/catchers aptly named Trilobite Anchors. Trilobite Anchors have a unique design with three heat-treated steel alloy slips which not only maximize holding in both tension and compression, but also with strategic component spacing to allow increased annular flow and capillary tube bypassing . This allows for operators to increase space for gas while running capillary lines, all without compromising tubing size in the desired 5½” x 2⅞” configuration. The newly-designed anchor also serves as a “catcher,” meaning it does not require upward tension to remain in place. The original design and its patent are the brainchild of D&L engineer Heath Bringham. Heath says he was inspired after a simple conversation with a client at a conference about the need for this extra space around anchors. D&L has received great feedback from clients who say the tool has not only increased the capability of running multiple capillary and data lines, but has actually lead to increased gas production due to the multiplied space for gas to travel upward toward the wellhead. Heath says the name Trilobite was inspired by the combination of “tri” for the three slips, “lob” for it being a lobe tool, and bite from both it being a way for things to “bypass” as well as the tool’s literal “bite” which keeps it in place. It was in subsequent research that Heath discovered Trilobite is also the name of a fossil group of extinct marine arachnomorph arthropods. “I thought it was really cool that the name not only reflected how the tool works, but also had a wink to archeology”, said Heath. The Trilobite Hydro and Trilobite Quarter-Turn Anchor designs were filed with the United States Provisional Patent Office in June of 2017 and will undergo a full patent process over the course of the next year. People can learn more about the Trilobite products, as well as D&L’s engineering experience at https://www.dloiltools.com/new-products-trilobite-anchors/. About D&L Oil Tools: D&L Oil Tools is founded on a philosophy of providing high-quality, affordable equipment quickly, and always being conscious of customer needs. Reliable equipment, customer satisfaction, and employee well-being are the cornerstones of the company. For more information, visit dloiltools.com.